We are delighted to invite you to the Contemporary Wine event, last of the 2018 cultural season. Witness live Butoh performance, extreme Japanese avant-garde dance form, expressing transformation through changes of consciousness, selflessness and above all, compassion. Enjoy live violoncello concert and relax to a sophisticated selection of ambient music. Sample a selection of the best sustainable wines from Tuscany during an afternoon of wine tasting in the garden of Borgo Pignano, one of the most charming villas of Tucany with its breathtaking views. 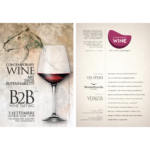 Contemporary Wine’s focus will be dedicated to THE BEST OF CONTEMPORARY WINE 2018.